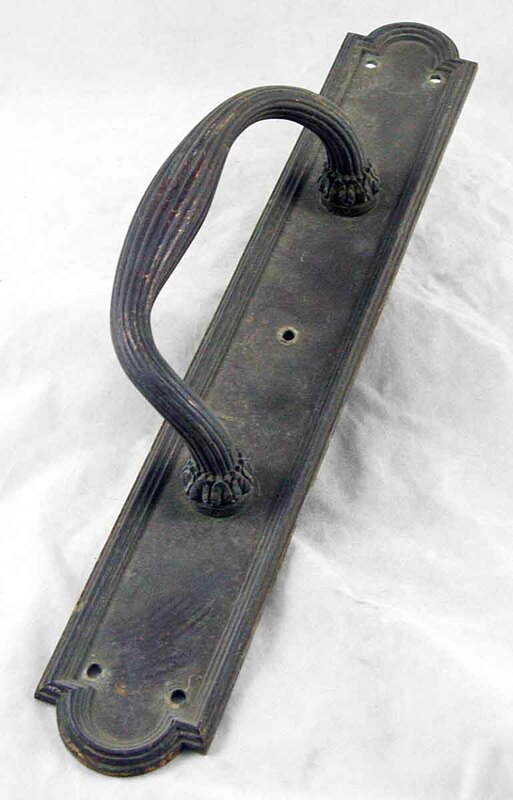 Bronze door pull with fluting detail on the handle. Art Deco style. One available.